MANILA – A day before the nation is set to commemorate the 43rd anniversary of the imposition of martial law, the Palace on Sunday urged the public to uphold its loyalty to democracy. In a radio interview, Communications Secretary Herminio Coloma Jr. stressed that although many years have passed since the “darkest chapters in the country’s history,” the nation should remain vigilant in saying “never again” to dictatorship. “Dahil nga 43 taon na, kung sa pagtataya ng panahon, lampas sa isang henerasyon — dahil ang henerasyon ay 25 years — at palapit na sa dalawang henerasyon ang naipanganak mula noon na wala silang kahit katiting na karanasan o pagsaksi sa naging karanasan natin,” Coloma said. Malacañang also reminded the public to treasure the freedom of press that prevails in the country. Coloma pointed out that the Philippines is among the few countries that do not restrict the role of its journalists. “Ang kalayaan sa pamamahayag sa Pilipinas ay isang magandang halimbawa kung paano ito dapat igalang at ipatupad sa isang demokrasya. Siguro kung titingnan ang iba’t ibang bansa, iilan lang ang mga bansa na mayroon talagang ganap at hayag na kalayaan sa pamamahayag,” Coloma said. The official added that President Benigno Aquino III earlier vowed that the media will remain free of any restraint on its functions, even after the Luneta hostage crisis in 2010. Eight hostages were killed in the hostage-taking incident where a former police officer hijacked a tourist bus. Some blamed the media for possibly aggravating the tension by giving a view of the entire situation to the shooter who had been tuned to the live television broadcast of the stand-off. Coloma stressed that Filipinos should take pride in the full exercise of the freedoms of the press, expression and assembly. President Ferdinand Marcos proclaimed Martial Law on September 21, 1972. The announcement was immediately followed the next morning with the arrests of outspoken administration critics Senator Benigno “Ninoy” Aquino II, Senator Jose Diokno and around 400 more personalities. Newspaper publications as well as radio and television networks were also shut down by the military. 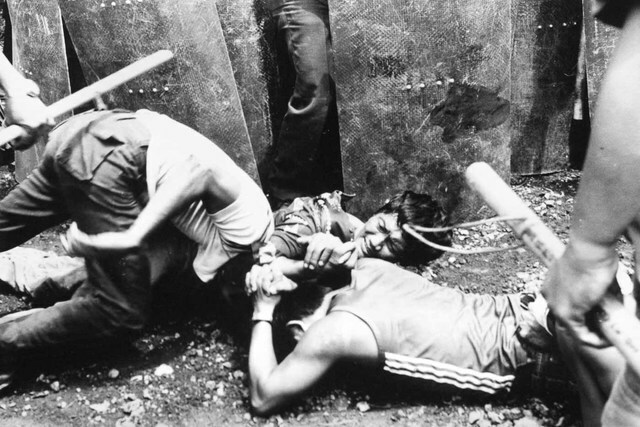 In the years at the height of military rule in the country, thousands were said to have fallen victim to human rights abuses while the Marcoses allegedly amassed millions of dollars. Read ABS-CBNNews.com’s special report on the declaration of Martial Law here.